(TRENTON) – New Jersey Secretary of Agriculture Douglas H. Fisher reminded New Jersey taxpayers about an opportunity to support Farm to School activities in the Garden State through the “Farm to School and School Garden Fund.” This “check-off” can be found on Line 64, number 19, on the 2015 New Jersey State income tax form. This new fund was established to allow taxpayers to donate a portion of their tax refund or make a contribution to help establish school gardens and purchase equipment and educational materials to promote students’ consumption of local produce. 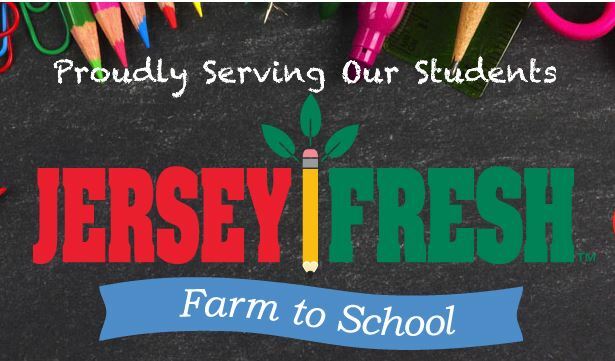 The New Jersey Department of Agriculture’s Farm to School Program works to connect schools with New Jersey farmers to source more than 100 types of Jersey Fresh produce grown here in the Garden State. Opportunities exist for New Jersey farmers to provide agricultural products to school food service departments throughout the growing season. Serving more local produce in school cafeterias not only supports local farmers but helps improve student nutrition, provide healthy options and nutrition education opportunities that will last a lifetime. The Farm to School Program also includes schools garden activities, which teach students where food comes from by growing it themselves. Students benefit by learning the science behind farming and the nutritional values of fresh products and gain a greater understanding and appreciation of the environment. Educators can use school garden programs to teach any subject – math, science, language arts, health and nutrition, art or social studies. Farm to School Programs promote and create a sense of community for all involved.